TAEDIUM VITAE | PELLAN.SE: Festivalyran. 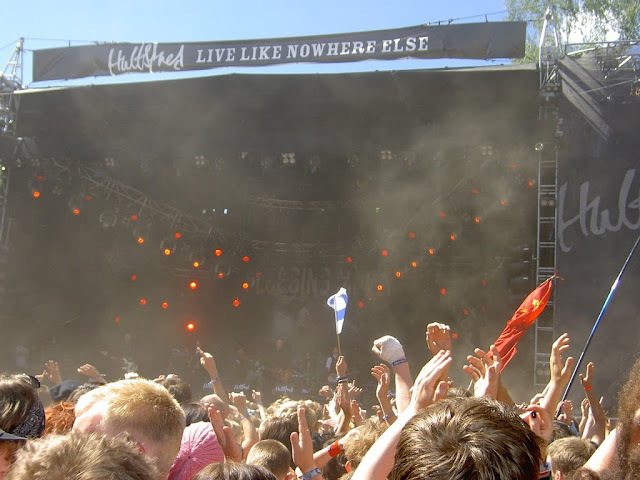 Peace and Love (22-27 juni) @ Blge - Mötley Crue, The Kooks, August Burns Red, Pete Dohrety, Thåström, Turbonegro. Arvikafestivalen (2-4 juli) - Depeche Mode, Fleet Foxes,Bob Hund, Thåström. Hultsfred (8-11 juli) - The Killers, Dropkick Murphys, Regina Spektor, Peter, Björn & John. West Coast Riot (25 juni) @ gbg - Social Distortion, Sick of it all, The Bouncing Solus, Parkway Drive, The Living End. Metaltown (26 juni) @ gbg - Marilyn Manson, Dir En Grey, MUCC, Bring me the horizon, Disturbed, Slipknot, Municipal Waste. Putte i Parken (29-1 aug) @ Karlskoga - Bob Hund, Millencolin, Looptroop Rockers, Thåström, Blindside, The (International) Noice Conspiracy, Kristian Anttila, The Last Republic. Storsjöyran (30juli-1aug) @ östersund - Thåström, Bob Hund, Crystal Castles.